Hi folks, it’s Micah! 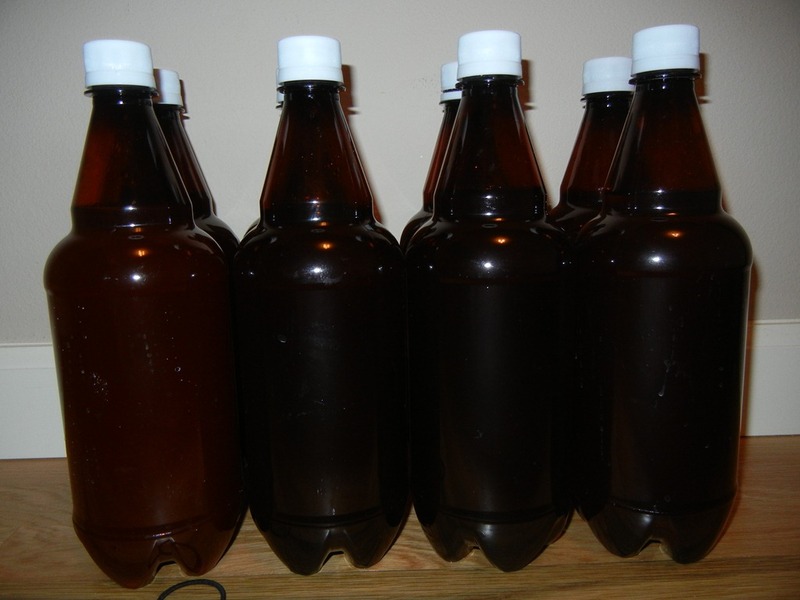 I’m contributing a post to continue on Lisa’s entry about our first beer making experience. The last time you read, we were letting our ‘beeya’ ferment. We let this bad boy ferment for around 2 weeks and now on to the next phase, bottling. Currently the beer is somewhat drinkable, but you bottle the beer now to carbonate it (I tasted it and it’s not too bad). 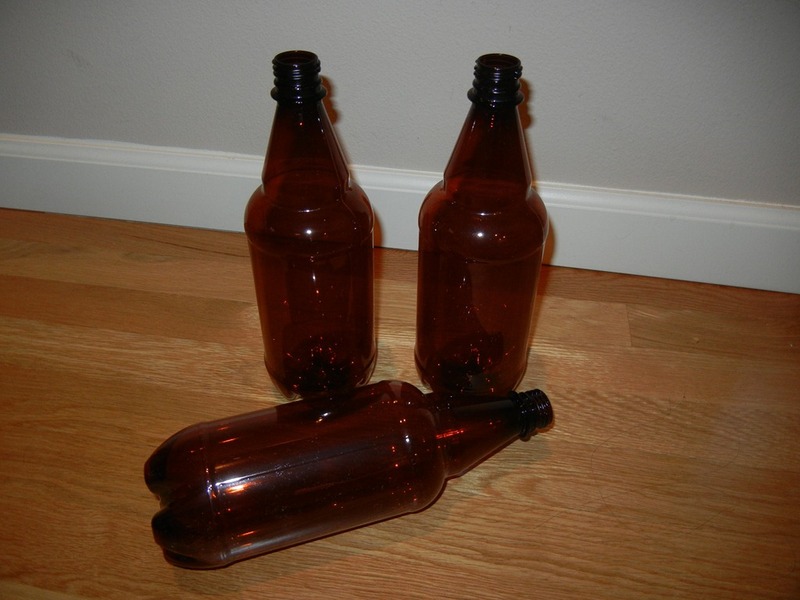 These are the standard 1 liter bottles that come with the Mr. Beer kit, but some people like to use glass bottles and recap them. 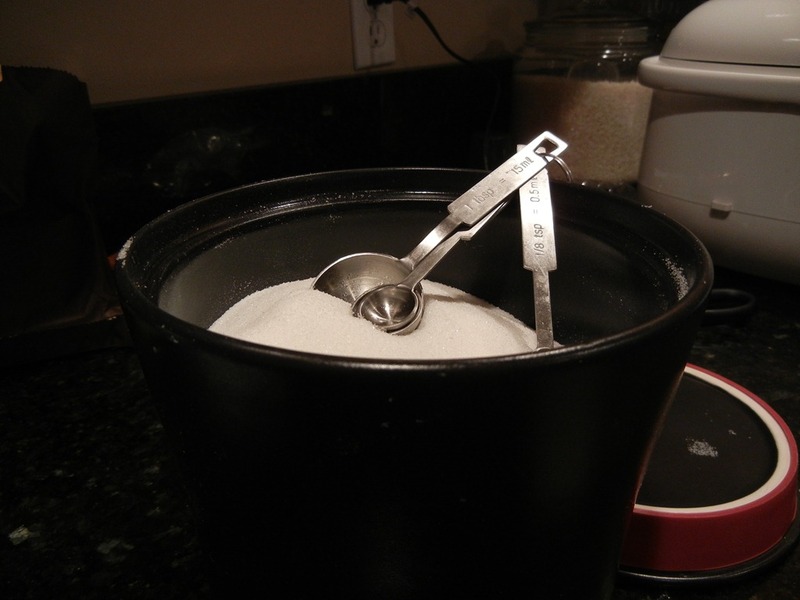 Next, we add the sugar. 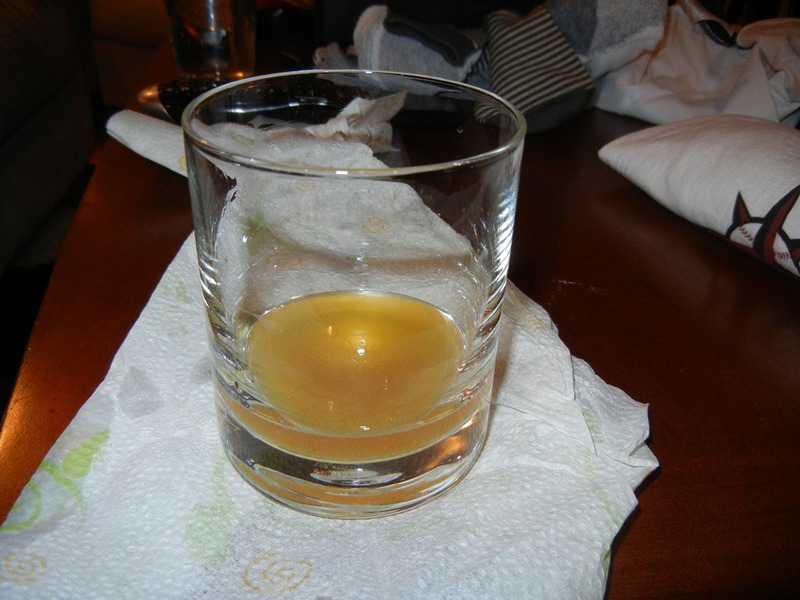 Putting too much over carbonates the beer, while putting too little makes the beer flat. Voila! Let the bottling process begin! 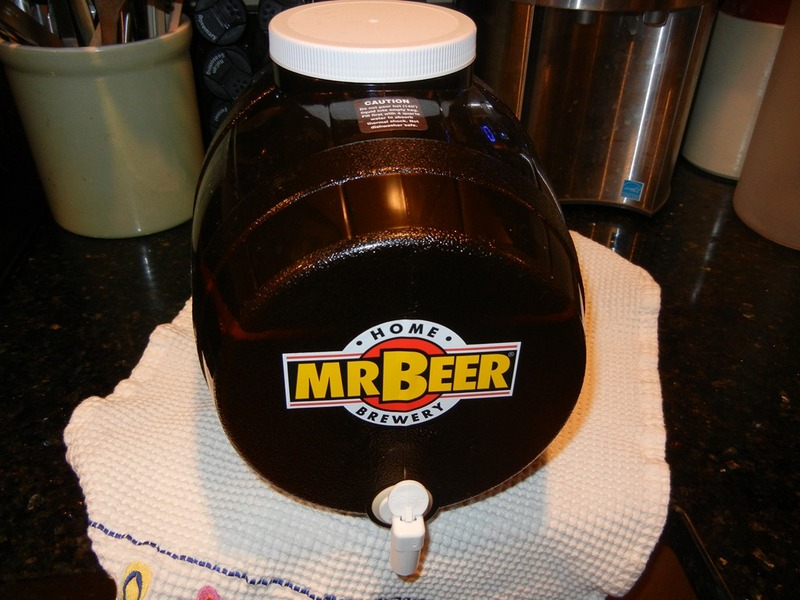 This takes approximately 1-2 weeks, then the beer is ready to go. Stay tuned for more details in about 2 weeks! and if you’re lucky, maybe we’ll invite you over for a taste.